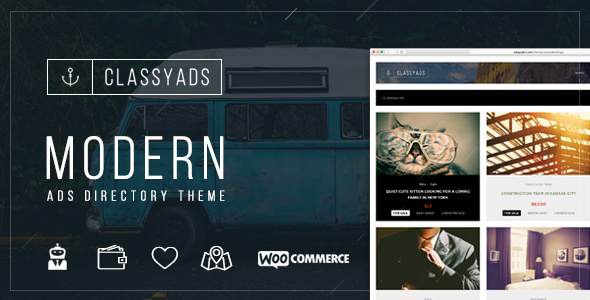 The ClassyAds is a Premium Modern Directory/Listing WordPress theme, super flexible and has a fully responsive design (try resizing your browser). Built with HTML5 and CSS3 . A lot of thought and care were put into ClassyAds making it a pleasure to use. 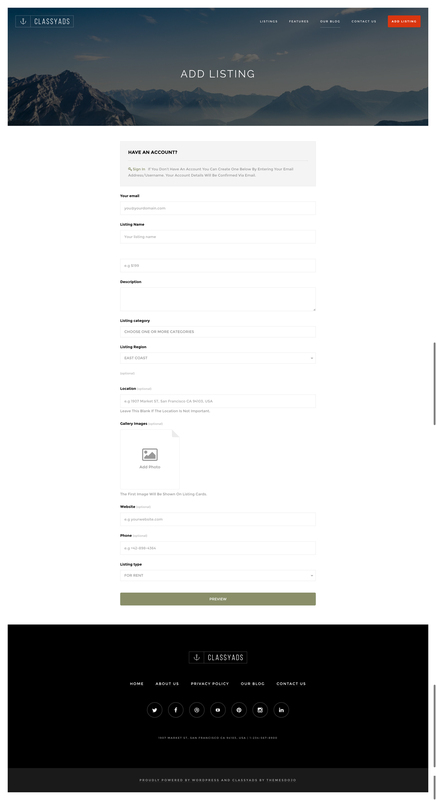 I carefully handcrafted this template with a strong focus on typography, usability and overall user-experience. It?s very quick to setup and easy to customize. Please note: This sale is for the ClassyAds WordPress theme only. In order to take full advantage of the theme additional WordPress plugins are required. Some premium plugins may require additional purchase. *Note that the theme doesn?t come bundled with any of those plugins. They are optional paid plugins that extend the site functionality.